As Irish we like to jump on the negativity train at every opportunity. 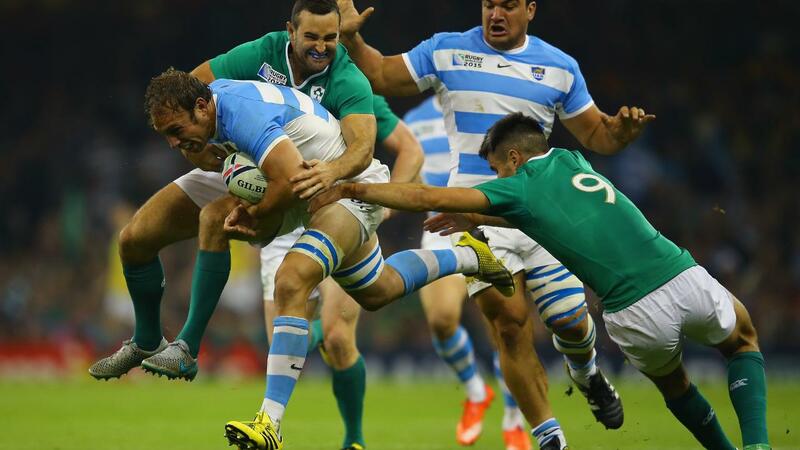 Ireland’s embarrassing, dreary defeat to France to latest national issue. 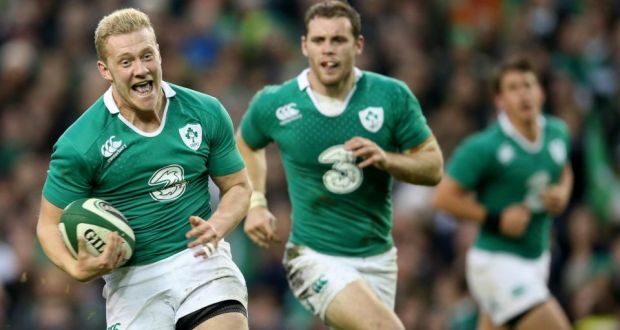 In preview of the Six Nations we said that the chat room talk of ‘St Joe’, ‘in Joe we trust’ ‘As long as we get the win’ was becoming a joke, to say the least. Was the northern hemisphere’s World Cup shocker not enough to indicate that boshing, kicking, set piece orientated game-plans were outdated and ineffective when up against the top level of opponents. The Six Nations has lost value for me this season and I say that sombrely. Winning two consecutive titles and then losing to the weakest of the four ‘Rugby Championship’ sides competing in England, yet the fourth best team in the world by so much definitely puts where we stand, and the European tournament, in perspective. A grand slam would be worthwhile in the lead up years though, it would indeed bring a thrill and confidence back in Irish Rugby’s stride. However, until the national set-up has the initiative to drive on and find themselves that far ahead of the Northern Hemisphere pack, our World Cup odds will stay the same. The new target should be to win the World Cup. Without a win in this years Six Nations is sobering in reality but if you seek perfection, excellence can be achieved. Needless to say, a semi final has been the objective the last two times and we know how that went. Should Joe remain that long, ambition in our play needs to be put the fore. Another quarter final exit in Japan the alternative option. How is that achieved? Well yesterday, in February 2016, our attacking strategy was kicking into the air for Fergus McFadden to try and catch it. Nothing against the man, the aerial game is a strength of his usually, suitable for Schmidt’s ideologies, but he has not scored one try for Leinster this season and you could easily see why, as his lack of imagination and spark was vivid. Schmidt’s other wingers on the day Dave Kearney and Andrew Trimble are similarly suited for the high ball but to be fair they are comfortably more dangerous players in possession. The feeling stays the same though, for all of their agility and pace, would they be picked if they were a few inches shorter? Matt Healy, Craig Gilroy, Andrew Conway, Rory Scholes, Ronan O’Mahony, Tiernan O’Halloran and perhaps Cian Kelleher would be ahead of Fergus McFadden if the coach had a vision for the future and any consideration to the realisation that our backline under his guidance have never scored a decent number of tries. Ronan O’Gara said after yesterday’s match ‘kicks don’t win games’, and in the standard of international rugby today, he is spot on. Our scrum didn’t help the cause yesterday in the Six Nations but the lack of attacking intent was a bigger issue and if it is an issue here, by god will it be troublesome in 2019. Furthermore, Stuart McCloskey, Luke Marshall, Stuart Olding and Garry Ringrose are more influential players being overlooked at the centre position. Robbie Henshaw and Jared Payne have been impeccable defensively in the two opening rounds but if we can’t score tries of our own then what’s the point? The issue lies, based on all evidence, that Schmidt has come, seen and decided on this bore-fest method as our best way of winning matches. Out of a lack of belief that our players have the skill to operate like his vintage Clermont or Leinster squads this has arisen and with the current line-up, he may have a point. How about the ball players then? Marshall, McCloskey, Ringrose, Olding, Scannell being ignored in favour of solidarity? Such options weren’t at the coaches disposal upon arrival, but now that they’re available literally every Irish fan wants to see them express themselves. Another reason for the lack of progress may perhaps be because the Kiwi is sticking to his guns out of stubbornness. Tactics remain the same upon first impressions, players are chosen to fit that idea. This then brings an unfavourable comparison to our football friends. Paul Green, Glenn Whelan and Keith Andrews favoured over Wes Hoolahan, Andy Reid and Darron Gibson? The ‘we are not Austria’ approach, the ‘kick the ball in the air because we don’t have natural ability’ approach? What does Schmidt do to not acquire the ‘Trapattoni of rugby’ tag. This kind of nay saying about the New Zealander is almost foreign to what Irish rugby followers are used to reading. To his credit, without even listing his magnificent achievements in the club game, he won Ireland a Six Nations title on his debut season before going unbeaten in the 2014 November series against Georgia, Australia and South Africa (although the latter two had just completed the rugby championship it was still a remarkable achievement) and last year’s Six Nations tournament too. Unfortunately, we have now been found out and in kicking the ball to a side of adequate attacking quality to challenge for a World Cup, Ireland will continue to be goosed. 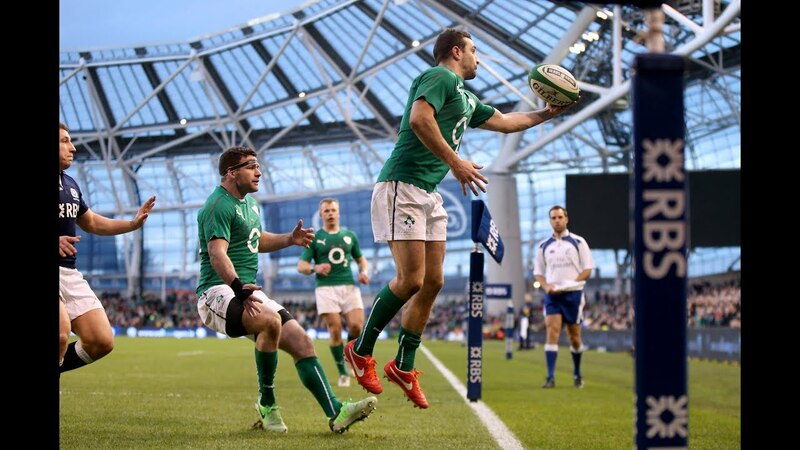 It doesn’t take an expert to say, “yeah, Ireland aren’t scoring tries, they should be more imaginative” but it doesn’t take a genius to think that kicking in the air for Fergus McFadden isn’t going to aid the issue, let alone a saint. Nor is having two fullbacks in centre for tackling ability alone. A change of personnel is absolutely crucial but it’s not going to change much if we stick to the same system. In reality, if we stick to the same system, the game changing men won’t be involved anyway. Therefore, it’s time to go back to the drawing board for the Irish coaching team in building for the next World Cup. Watching England play deep running rugby, Farrell supplying as a first-five-eight to Joseph to run free and glide in search for a pass is such a pleasure to watch in contrast. Achieve that sort of basis to attack with the right players and we can be a special team again, especially as our pack are miles ahead of that Eddie Jones’ disposal. Remain the same though, and we will fall further in this downward spiral. Do that Mr Schmidt and all will be forgiven.